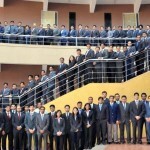 Indian Institute of Management (IIM) Bangalore climbed to the top pushing IIM Ahmedabad to the second spot it had held for the past two years in the management institutions category of India Rankings 2019, the 4th edition of the ranking for higher institutions of learning released by the National Institutional Ranking Framework (NIRF) on April 8. 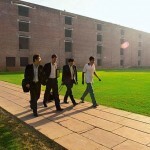 IIM Calcutta remained at rank 3 along with IIM Lucknow in the 4th rank. At 5th rank was IIM Indore, climbing all the way from the 11th rank it held in 2018, pushing the Indian Institute of Technology (IIT) Bombay to the 10th rank. About IIMB securing the first rank, the Institute Director G Raghuram attributed the honour to the efforts of the IIMB faculty and staff – both current and former, past leadership, the Board, students and alumni and the supporting eco-system. IIMB notched up a cumulative score of 81.34. It had a TLR score of 92.85 out of 100, RPC 55.03, GO 98.35, OI 73.09 and a perfect score of 100 in Perception. “I would specifically give credit to the earlier leadership of the institute and the response of the faculty and staff, at least over the past decade, who have often made difficult, but the right choices in setting the direction for and contributing to the institute,” he said. “This has paid off in terms of research and professional practice, teaching, learning and resources. IIM Bangalore has often been the pioneer in outreach and inclusivity. All this has enhanced the positive perception and the graduation outcomes, especially in attracting top-rated students into IIM Bangalore,” he added. The ranking is based on five criteria: Teaching and Learning Resources (TLR), Research and Professional Practice (RPC), Graduation Outcome (GO), Outreach & Inclusivity (OI) and Perception (PR). All institutions were judged based on self-disclosure of information. IIMA had a TLR score of 90.74, RPC 57.76, GO 98.12 and Perception 96.32. IIMC had a TLR score of 90.14, RPC 54.16, GO 96.07, OI 71.52 and Perception 94.02. The ranking in the management category lists 75 institutes. President Ramnath Kovind had released the NIRF India Ranking 2019 in 9 categories which included Overall, Universities, Engineering, Colleges, Management, Pharmacy, Medical, Architecture, and Law. In Overall category, IIT Madras ranked first and IITs dominated major categories including Overall, Engineering and Architecture. More than 4000 institutes had submitted their data for NIRF ranking this year. 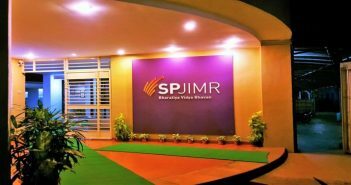 Should I pursue specialized MBA after 5 years of work experience?